CCL is committed to providing your child with the best services available based on your child’s individual profile. Family support is an integral part of our programs so you will have the tools to enhance your child’s speech and language development. We value parent input at every step, beginning with the assessment process and the development and implementation of your child’s goals. CCL is the only center in Montgomery County offering social thinking groups and programs led by a Speech Language Pathologist who has completed the Social Thinking Clinical Training Program at the Center for Social Thinking in San Jose, California. CCL provides services to children exhibiting communication and learning challenges including but not limited to Autism, ADHD, Social Communication Disorder, Executive Function Disorder, Articulation, Auditory Processing Disorder, Receptive and Expressive Language Delays, Spoken and Written Language Disorders. Our Be Social program focuses on helping children navigate their social world. CCL Speech Language Pathologists are certified by the American Speech, Language, and Hearing Association (ASHA) and licensed by the State of Maryland in Speech-Language Pathology. Each speech language pathologist participates in ongoing continuing education thereby providing your child access to cutting edge therapeutic programs. CCL collaborates with your child’s teachers and other team members. 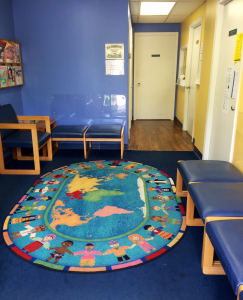 We believe a collaborative approach will facilitate your child’s communicative success. CCL integrates the use of technology into your child’s therapy sessions. Our therapists have access and use of computer programs and APPS specifically designed to develop your child’s skills in the areas of speech, language and literacy. CCL offers dynamic parent workshops on a diverse range of topics. These presentations target educational, medical, allied health, and mental health areas related to child development. Experts in these fields will provide critical information to guide you and empower you to assist your child.